At Limotek.co.uk we only use limo operators in Leeds that are professional and trustworthy as we do not want your special occasion to be ruined. Some of the limo companies we use in Leeds have over 6 years experience, and also own some of the most amazing vehicles in the UK. i.e. the 8 wheeler hummer limo or the porsche cayenne limousine. 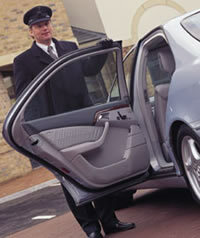 this way you should not have any doubt over our credentials and limousine they provide. Just give us a call or feel free to go to our quote page where one of our friendly advisors will call you back.